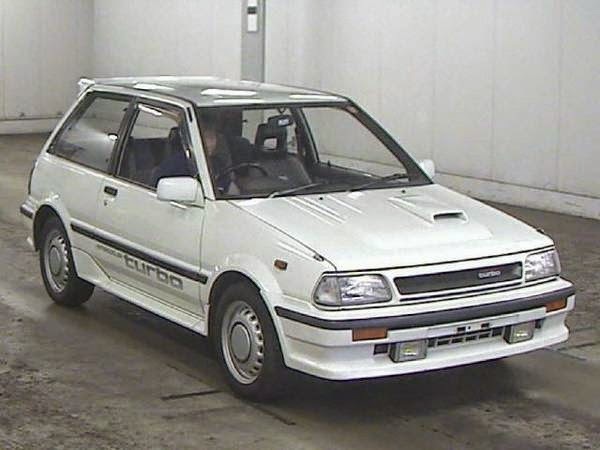 By 1987, the Toyota Starlet was long gone from the US shores, being replaced with the FX-16 Corolla here in North America, but you could still get a Starlet in the land of the rising sun. 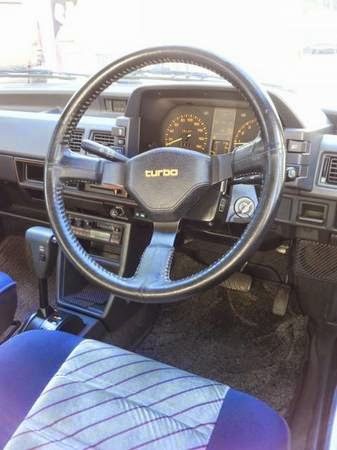 This next car is a 4th generation Starlet that was originally sold in Japan but has made a trip across the ocean and is somewhere between an undocumented migrant and a naturalized citizen. 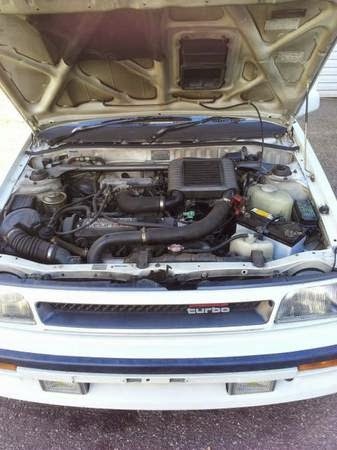 Find this 1987 Toyota Starlet Turbo S offered for $6,900 in Ansonia, CT via craigslist. Tip from Jdah. This Starlet is offered in right hand drive configuration for the ultimate in JDM for reals style and you won't find many of these around. This Turbo S was the top of a large line of versions including -- Standard, DX, Soleil, XL, XL Lisse, SE, Si, Si Limited, Ri, Turbo R, and Turbo S.
For a fistful of yen in 1987 you got a 1.3 liter turbocharged 12-valve 2E-TE turbocharged inline-4 that pushed out 110 horsepower into an automatic transmission...wait...what? 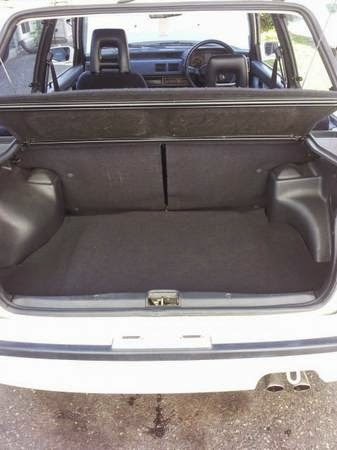 A slushbox in an econobox hot hatch? What is this world coming to? No wonder it is offered for chump change. Another cool FWD car. Surely it wouldn't be too hard to swap in a manual. Or a twin-turbo 454 with NOS. Yeah, that's the ticket. Just watch the car rip itself apart around you. 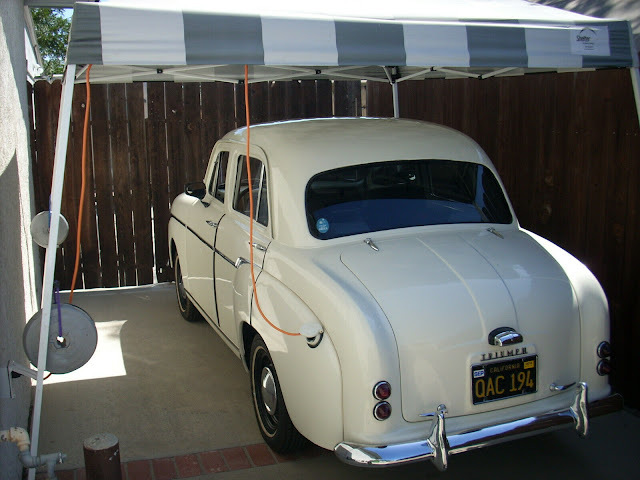 I'd modify it to one-wheel drive too. No stinkin' AWD/4WD/RWD/FWD for me! Just one; that's all I need. I'll have the fastest unicycle/hand grenade on my block. Woohoo! At 2700 lbs. curb weight and 74HP I can only assume that the turbocharger was added to improve performance at altitudes in excess of 25,000 feet.